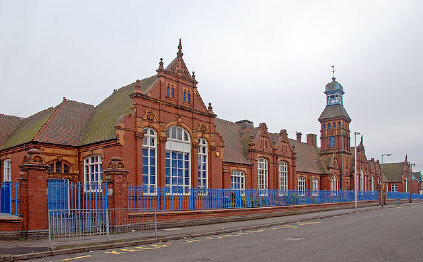 The purpose of this prospectus is to help you know more about life and learning at Lodge Primary School. Lodge is a fully inclusive community school which always strives to provide education of the highest standard for all children between the ages of 3 and 11. Our aim is to bring learning alive for the children and to make the curriculum as relevant, exciting and as stimulating as we can make it. We aim to provide for all children’s needs and recognise the fact that children learn best in different ways and at different rates. We value the talents that each child has and develop them, providing support and encouragement along the way. We have a very approachable team of staff who all work together for the good of our children. Despite the age of the building, inside you will find all the facilities of a modern school preparing children for work in the 21st Century. We have interactive white boards in all classrooms, a wireless network, laptop computers and iPads to enable children to use technology in their daily work. The staff at Lodge are all dedicated to the school and totally committed to providing the very best education for all. We have a high staff to pupil ratio which enables us to provide each child with the support they need to do their very best. We engage fully with our parents as working together means that we can continue to move our school forward in partnership with you. We regularly invite parents into school for class assemblies, our weekly 'Star of the Week' assemblies and termly parents' workshops where we share with you the learning that is going on in school ,and give you strategies to help your child at home. We welcome visits so we can show the school ‘in action’ and explain the aims and values we have. Parents are welcome to make an appointment and visit at any time to gain first hand knowledge and understanding of what we are aiming for and achieving and of the many facilities on offer. Please make an appointment to come and experience the environment in which our children learn, so that we can answer any questions you may have.